Saddam Hussein was executed yesterday. We can expect the mainstream media to provide saturated coverage of Saddam’s brutal rule the next few days when they are not too busy lionizing Gerald Ford’s memory. I certainly will not mourn this man’s passing. 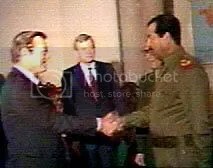 Otherwise, all I have to say is the picture above is of President Ronald Reagan’s Special Envoy Donald Rumsfeld shaking hands with Saddam Hussein in 1984. The same Donald Rumsfeld who served as President Gerald Ford’s Secretary of Defense in the 1970s and designed the incompetent occupation of Iraq under President George W. Bush. Unless you’ve lived in a cave the past few years this picture should be familiar. Nevertheless, a reminder is in order. The silly season of presidential politics is here. Posturing, fundraising and repositioning to simultaneously win support from party activists and independent voters that decide general elections. A candidate that can thread the needle with their party’s base and remain viable to the center has achieved a sublime nexus. In our current culture a candidate must demonstrate fidelity to their party’s core principles and a maverick streak of independence. They must project manliness (or in Hillary Clinton’s case toughness) with a soft side of empathy. After six years of Bush’s insipid rule a winning candidate will also need to project gravitas but not appear above us. As women are burdened with a double standard Hillary Clinton will have to demonstrate firmness without coming off as shrill. Most importantly a winning candidate better have terrific hair. We expect too much and too little from presidential candidates. Al Gore partly lost in 2000 (even though he really won) because he couldn’t pass the “beer test” while George W. Bush deceived voters into believing he was a “regular guy.” Abraham Lincoln wouldn’t stand a chance today but Arnold Schwarzenegger could win in a landslide if the Constitution permitted him to run. Hence, the realities of our culture require a measure of compromise when deciding upon a winning horse during the Democratic Party’s primary season. With 2008 on the horizon there is one trait I’m not willing to compromise about during the primary season: foresight. Yesterday, the Democrat’s 2004 Vice Presidential nominee, John Edwards declared his candidacy. There is much to like about Edwards. He’s a self-made man who remembers where he came from and cares deeply for people struggling to survive in our treadmill economy. Conservatives denigrate trial lawyers such as Edwards but I rather like somebody who earned a fortune by defending the little guy against corporate interests. Both Edwards and his wife Elizabeth appear to be talented and down to Earth. They lost a teenage son and Elizabeth recently endured the scare of breast cancer. These are people who can empathize with the struggles of others. John Edwards is also an attractive, articulate man and can effectively advocate the progressive cause in our soundbite culture. Unlike Barack Obama however Edwards doesn’t speak in platitudes and takes firm stands. Edwards also appears to be embracing the progressive wing of the Democratic Party and not running from it like Hillary Clinton. So in many ways Edwards is easy for me to like. We sure as hell could do a lot worse and have. However, his support for the Iraq War while in the Senate is like a worm in my brain. I appreciate his apology for supporting it and hope he’s sincere. We all make mistakes. I’m certainly not perfect. Nevertheless I wonder if his initial support for the Iraq War was about political expediency. Is it possible his apologizing for the Iraq War is also about political expediency? This troubles me. Politics requires a measure of expediency on a broad range of issues but matters such as war and peace should be about one’s conscious. Admittedly, Hillary Clinton’s stubbornness on the issue also troubles me. I acknowledge the inconsistency in my reaction to both of them. There is a criticism one can fairly level at Hillary Clinton, John Edwards and John Kerry: a lack of foresight. Many of us protested the Iraq War in 2002-2003 and predicted the civil war taking place today. I’m not surprised Iraq has gone to hell and a hand basket and partly marched because I had no faith in our ability to manage the post Saddam era. There were also public figures at the time that demonstrated foresight and courage such as Howard Dean, Russ Feingold, Al Gore, Dennis Kucinich and Paul Wellstone. Barack Obama partly propelled his candidacy for the Senate by opposing the neocons folly. Alas, Wellstone is dead and Feingold has opted not to seek the presidency. Dean is also not a candidate for 2008. As for Kucinich, I admire his commitment to peace but his overall record troubles me and I don’t believe he can win. Obama is flirting with the presidency and has generated much attention. I suspect the Hillary Clinton political machine will dissect him and force Obama from his zone of comfortable platitudes to actually defending positions she will distort. The junior Ilinois Senator will come away bloodied. Also, what kind of president would Obama be? My intuitive sense is Obama is bit too corporatist and tolerant of religious intolerance. I reserve the right to change my mind as I learn more about him. Perhaps Obama will win me over but I doubt it. Al Gore made a courageous stand against the war while contemplating the 2004 campaign. Gore also had to think about a general election dynamic at the time because he would’ve been the front-runner for the nomination. Many Democrats feared appearing weak on national security after opposing the Gulf War in 1991. Taking the stand Gore did was courageous and right. He showed principle, foresight and courage in doing so. Hillary Clinton and John Edwards demonstrated neither at the time and Obama doesn’t have the same track record of foresight as Al Gore who warned about global warming before it was cool to do so. Gore is the one prospective candidate that can knit the Democratic Party’s disparate coalitions into a coherent whole and compete effectively in the general election. Admittedly Gore has flaws such as an expanding waistline and thinning hair. 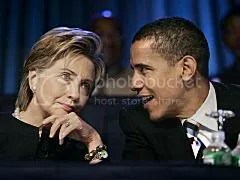 Right now Clinton, Edwards and Obama are regarded as the “big three” in the Democratic Party for 2008. Gore is head and shoulders above all of them. I hope he runs. Nobody else in the Democratic Party possesses his track record of foresight and can compete with the big three. The topic below was originally posted in my blog, the Intrepid Liberal Journal on September 16th. Professor Mohammed also contends that violence in the Muslim world stems from politics not the Islamic faith. His opinions have provoked sharp rebukes from scholars who insist that Jihad, Anti-Semitism and fundamentalism are directly linked to the Koran itself. The academic believes those who link fundamentalism with the Koran are Islamophobes. On June 25, 2004, he participated in a symposium sponsored by FrontPageMagazine.com with Robert Spencer of Jihad Watch, and author Bat Ye’or. They engaged in a fascinating debate about the Koran’s semantics and politics in the Muslim world. Since that symposium the debate between Professor Mohammed and Robert Spencer has grown personal. Overall, Professor Mohammed has two categories of critics: westerners such as Robert Spencer who regard him as an Islamic apologist and Muslims who believe him to be disloyal to their culture. The professor considers himself a scholarly advocate for moderate Islam and he graciously agreed to an interview with me. 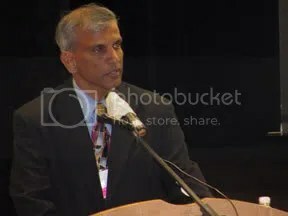 ADDENDUM: Please note that his website which I hyperlink above has not been updated and lists his title as “Assistant Professor” instead of “Associate Professor.” Hence, I mistakenly introduced him with the incorrect title during the podcast. The topic below was originally posted in my blog, the Intrepid Liberal Journal on September 23rd. He then asks, “Will the next election be hacked?” as he promotes Bobby Kennedy, Jr.’s article in Rolling Stone magazine that examines fraudulent vote counting to the benefit of Republican candidates. His syndicated radio show is carried on more than 80 radio stations daily from noon to 3 PM Eastern Standard Time (EST) and Sunday mornings from 10 AM to 1 PM EST. It broadcasts 7 days a week on Sirius Satellite Radio, and is streamed live on the web from Radio Power, The White Rose Society, Air America Radio and CRN Digital into cable systems in 29 states. 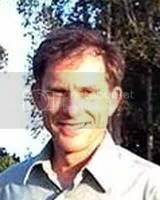 Hartmann is also an award-winning, best selling author of fourteen books, an entrepreneur, and an innovator in the fields of psychiatry, ecology and economics. 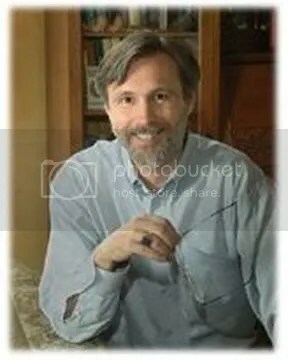 The former executive director of a residential treatment program for emotionally disturbed and abused children, Hartmann has helped set up hospitals, schools, famine relief programs, and communities for orphaned or blind children in Africa, Australia, Europe, India, Israel, Russian, South America and the United States. Hartmann graciously agreed to an interview with me about his new book and political philosophy. The topic below was originally posted in my blog the Intrepid Liberal Journal on October 14th. 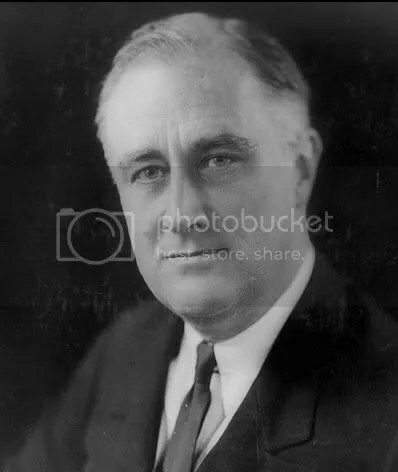 FDR was singularly responsible for defeating Nazi Germany’s brutal anti-Semitic regime. Yet sixty-one years after his death, FDR’s legacy is entwined with allegations he was anti-Semitic and not interested in the Holocaust. As a liberal Jewish American I was always conditioned to regard FDR with an asterisk. Many times I’ve heard my predominantly liberal family say, “FDR was a great President, but …” And they proceed to indict him for being unsympathetic to European Jewry during the Holocaust. In particular, FDR’s critics cite the SS St. Louis, which arrived in Havana Harbor on May 27, 1939 with 936 European Jews seeking asylum, but were turned away. There was also FDR’s failure to fire Breckinridge Long. While serving in FDR’s State Department, Long obstructed and delayed visas, causing the deaths of Jews desperate to escape Europe. Critics also note that anti-Semitism was common among wealthy Anglo-Saxons such as the Roosevelts during this era. Indeed, Roosevelt’s State Department was stocked with anti-Semites who opposed raising any immigration quotas to save European Jews. Roosevelt’s ambassador to England, Joe Kennedy was notoriously anti-Semitic. “If journalism is the first draft of history, then revisionism is the second. Typically third and fourth drafts are required to set the record straight. Click here to read the text of their letter. The David S. Wyman Institute has even accused him of plagiarizing 21 pages without proper attribution. For what it’s worth I believe Rosen’s book is scrupulously sourced. I don’t agree with everything he writes but Rosen has definitely challenged my preconceptions about FDR’s attitudes towards Jews and his motives during the Holocaust. The author makes a compelling case that FDR was sympathetic and engaged in saving European Jewry. According to Rosen, domestic politics and strategic imperatives handicapped FDR from doing more – not callous disinterest. Upon reading his book my immediate reaction was, “I want to talk to this guy.” The beauty of the blogosphere is not only do I get the chance to talk with him but also all of you can listen to the conversation. The topic below was originally posted on my blog, the Intrepid Liberal Journal on November 12th. Is capitalism salvageable? Can it be a vehicle for improving the human condition? Is it possible for free markets to preserve our environment and adapt to the realities of global warming? Or is capitalism an instrument of profit for a few and nothing more? Can government regulation effectively balance the public interest with corporate power? Peter Barnes, the author of Capitalism 3.0: A Guide To Reclaiming the Commons (Berrett-Kohler Publications, Inc.) has pondered such questions for three decades. CLICK HERE to download his book for free in PDF format. The theme of his entrepreneurial career is profit and social responsibility. In 1976, Barnes co-founded a worker-owned solar energy company in San Francisco and in 1983 he co-founded Working Assets Money Fund. Working Assets screened money market funds for investors who wanted to put their money in companies with a social conscious. He also became president of Working Assets Long Distance. In 1995, Barnes was named Socially Responsible Entrepreneur of the Year for Northern California. Currently he is a senior fellow at the The Tomales Bay Institute in Point Reyes Station, California. Specifically, Barnes considers how modern life has diminished “the commons”: a generic term like the “market” or “state” referring to assets we inherit such as the ecosystem or the culture we create. Barnes describes the commons as assets that are gifts and shared by everyone. Air, water, ecosystems, languages, holidays and music are assets we share and haven’t earned. His book partly explains how capitalism’s past and current “operating systems” have devoured nature and he provides a blueprint to upgrade it for modern life. In devising this upgrade Barnes believes society must go beyond the antiquated paradigms of government regulation or market solutions. He contends societies should construct “trusts” that preserve the commons for future generations instead. Barnes agreed to an interview with me about his book and ideas for upgrading capitalism. The topic below was originally posted in my blog the Intrepid Liberal Journal on December 21st. Across the political divide Americans understand our democracy has stopped working for them – unless they happen to be comfortably wealthy. Prostitutes are held in higher esteem then today’s politicians because at least they’re providing a service. Our elected leaders appear to only service themselves and their cronies as Hurricane Katrina exposed to our national shame in 2005. Many progressive political activists such as myself believe the best approach is to take over the Democratic Party the same way conservatives captured the GOP. Hence the enthusiastic pride of volunteers like me who helped Democrats recapture congress in November. Joel S. Hirschhorn, author of Delusional Democracy: Fixing The Republic Without Overthrowing The Government (Common Courage Press) disagrees. He advocates for the systematic dismantling of the two parties “duopoly” instead. Hirschhorn’s views were shaped by his experiences as a professor at the University of Wisconsin, a congressional staffer at the Office of Technology Assessment, a business consultant and the Director of Environment, Energy and Natural Resources at the National Governors Association. Chapters 1-6 of Hirschhorn’s book are essentially a rant against the corporatist state plaguing America. On that score he’s admittedly preaching to the choir with people like me. Bloggers such as myself eat the “our country is a corporate plutocracy” rant for breakfast, lunch and dinner. Venting about it has become our fuel and while I’ve read similar rants in many different places, I nevertheless appreciate what Hirschhorn has to say about it. His prose effectively combines earnestness with a common touch. Chapters 7-10 are more focused on his proposed solutions to break the two party stranglehold such as compulsory voting, cleansing politics from “dirty” money, expanding ballot initiatives and giving voters the option to choose “none of the above.” Some might consider his solutions impractical and I’m not a fan of ballot initiatives or his “none of the above” approaches. However, incremental change is not likely to reverse the trend of crony capitalism undermining our democracy and Hirschhorn deserves credit for thinking boldly. From a scholarly point of view it annoys me that Hirschhorn doesn’t footnote anything (which I ask him about). For example, in Chapter 7 Hirschhorn cites a national poll conducted in 2000 about Americans support for “public financing.” As a reader I’d like to know what “national poll” he’s referring to and where he’s getting those figures. Typically, I review endnotes upon completing a chapter to see where information like this is coming from and it bothers me when I don’t have that option. Was it a newspaper article? Thankfully, Hirschhorn does provide a bibliography of secondary sources at the end of his book. I definitely share Hirschhorn’s passion about the state of our democracy but remain inclined to try and change the Democratic Party instead of getting behind a third party at this time. From my vantage point we’re more likely to achieve real change that way. Nevertheless, Hirschhorn wrote a thoughtful book and he agreed to a healthy give and take in a podcast interview. You are currently browsing the Intrepid Liberal Journal Two blog archives for December, 2006.